Toshitsugu Takamatsu was born on March 10, 1887 in Akashi town, Hyogo province, by the name of Hisatsugu Takamatsu. Later he changed his name into Toshitsugu, which is written with the same Kanji, but is pronounced differently. His father was Yasaburo (also known as Gishin) Takamatsu. He owned a match factory in the city of Kobe. The name of his mother was Fushi. He spent most of his time with his grandparents who also took care of him. His grandfather was Toda Shinryuken Masamitsu. Toda was a chiropractor and had a clinic in Kobe. He also had a Budo-Dojo in Kobe and was the Soke of Shinden Fudo ryu. His family had a Samurai rank but his ancestors were Ninja. That was of course a great secret, which became public after Takamatsu died. He was the last member of Toda family, who inherited their Ninja tradition. Takamatsu was also called Jutaro. His father thought it would be good for him to join the army. He was very shy and that is why his father wanted him to try Budo as it would strengthen him and give him self-consciousness. When he was 9 years old he started practicing the Shinden Fudo Ryu. It wasn't really training. Toda and his students used him to throw around the dojo. After a year passed, he learned his first technique. From that point on Toda himself started to train Takamatsu. When he was 13 he got Menkyo Kaiden for Shinden Fudo ryu from his grandfather. After Shinden Fudo ryu, Toda taught him also Koto ryu, Gyokko ryu, Gyokushin ryu, Kumogakure ryu and Togakure ryu. But Takamatsu wasn't really interested in Ninjutsu. Around that time Takamatsu met Mizuta Yoshitaru Tadafusa, who taught Takagi Yoshin ryu. Takamatsu used to train regularly with him also and had received Menkyo Kaiden from Mizuta when he was 17 years old. In those times, teachers used to give Menkyo Kaiden even if their student wasn't ready yet. That forced student to train even harder. This custom was called Sakizuke. Also around that period of time he met Ishitani Matsutaro Takekage who was an employer of his father. Ishitani Matsutaro Takekage was well known in Japan because of his excellence in Martial Arts. He taught Takamatsu Kuki Happo Biken no jutsu. He was also taught various forms of Ninjutsu. Hon Tai Yoshin ryu, Gikan ryu and Shinden Muso ryu. Ishitani was Soke of all of them. At the age of 20 Takamatsu quit his job at his father's factory and went to China to test what he had learned. In Korea he met someone named Kim Kei-mei-a. He was a teacher and taught Takamatsu. In the time he was gone he learned 18 Korean and Chinese Martial Arts. Then he got ill. He went back home and was cured by Yamabushi (mountain priest). After he was cured, he went back to China. Takamatsu got in many fights. He got the nickname Moku no Tora, which means Mongolian tiger. He fought in nineteen fights, out of which only seven were competitions. Mortal combats were the consequence of teasing other Martial Artists, who heard of his fame. In one of those fights Takamatsu lost an eye. It was replaced by one made of glass. Takamatsu then got into teaching others. He taught over 80 people a day. He taught Japanese, Chinese, French and American people. When he came back to Japan he became the head of the Nippon Minkoku Seinen Botoku Kai (Japanese Martial Arts organization). All of this happened before he was 30 years old. In 1919 he came back to Japan and went into the Tendai monastery on Hiei mountain near Kyoto and became a monk. Later he became one of the representatives of the monastery in an attempt to make up for the sins of his youth. He was married to Tane Takamatsu, who was born in 1896 in Hirakata region. Her maiden name was Uno. They did not have any children of their own, but adopted 2 girls. Takamatsu also taught a lot of students in Japan, although he was mostly known as master of Ju Jutsu and Bo Jutsu. He was almost only known for Kukishinden ryu. His first Dojo was Sukisha Dojo (place for people, who enjoy Martial Arts). He trained Koba Koshiro, Sato Kimbei, Hanaoka Nangaku, Ueno Takashi, Takeuchi Kikakusai, Kimura Masaharu, Fukumoto, Akimoto Fumio and others. His last and best know student was Dr. Masaaki Hatsumi, who was also Takamatsu's only student for the rest of his life. He also learned all Takamatsu's traditions. Hatsumi started to train when Takamatsu was already in his 50's. Takamatsu taught him things, he had never taught anyone before. Takamatsu did not train when he was in his 80's, but still watched Hatsumi's development. One year before his death, Takamatsu told Hatsumi that he had taught him all he knew and that he has repaid Toda Sensei, Ishuitani Sensei in Mizuta Sensei for their kindness. Hatsumi had already been given the title Soke, but he still stayed and trained with his teacher. Toshitsugu Takamatsu died on April 2, 1972 at the age of 85. He is buried on Kumedra cemetery near the city of Nara, which was the last place he lived. 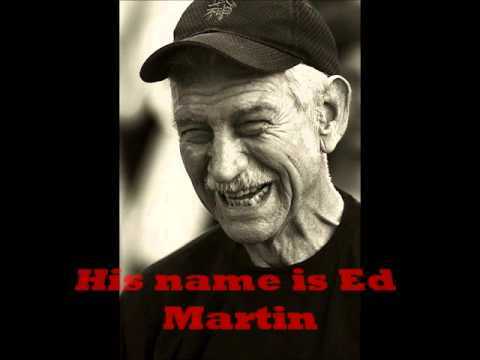 He was a great man and a living example of a true Martial Artist. He was the last of the real Ninja warriors, who were involved in real combat. 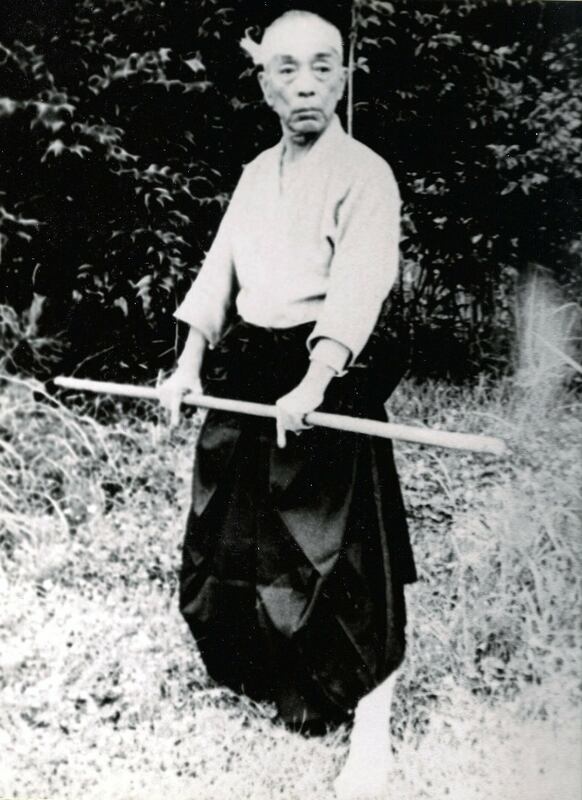 Members of Bujinkan are very proud that we can be a part of the tradition, which was came to us from this great man. "In the days of the Tenei era there was great master of Koppo. He was calm and peaceful like the flowers of springtime. Yet he was so brave that not even 10,000 enemies could make him show fear. He could even strike down a wild animal with but a single blow." Hatsumi is a Nihonga (Japanese-style) painter and has had exhibitions in Noda, Ginza (Nagai Gallery), etc. During his many years of training he has also supplied martial arts guidance for numerous film, (Ninja Nights) TV (Jiraiya, Ninja-boy-Fujimaru) & theater events. When he was 26 years old he met Takamatsu Toshitsugu in Kashiwabara City west of the Iga region in Japan. He travelled across Honshu island every weekend for fifteen years to study with his teacher. The train ride took him over a half day from his home in Noda to Takamatsu's home in Kashiwabara. November 3 he held a lecture to the Japanese Tenno (crown prince) about Ninpo. The film "Shinobi no mono" a film about Ishikawa Goemon and Momochi Sandayu was released this year, he acted as the advisor to the film company. He performed frequently in the childrens program "Suteki-na-Mama!" Names organization "Bujinkan Dojo" (Divine Warrior Training Hall) in honor of his teacher, Toshitsugu Takamatsu. He first travels to West (to Dayton, Ohio, USA) to teach Budo. First Tai Kai held in Japan. Received the "Best Instructor Award" from the Black Belt Magazine (as voted by the readers). First Bujinkan related video released. First foreign Taikai: USA. Received a letter of appreciation from US President George Bush on his 60th birthday. Honorary Member of Texas Rangers. Taikai in: USA, UK, Sweden, Spain, and Germany. Honorary degree of Ph.D. Natural Science from a U.S. University. Received the Cross Medal and Sun Medal from Juan Carlos, King of Spain. Accepted the position as the Director of the Japan Literary Club, International Section. Taikai in: USA, UK, Sweden, Spain, Germany, Australia, Luxembourg, Portugal, and Israel. Main Theme this year was Rokushaku Bojutsu & Taijutsu. Taikai in: USA, Spain, Australia, France, and Argentina. Main Theme this year was Shindenfudo-ryu Dakentaijutsu Happo Biken. Taikai in: Italy, Sweden, and USA. Main Theme this year was Kukishin-ryu Taijutsu Happo Biken. Recieved the Grand Prize from International Cultural Promoting Association, signed by the Japanese Emperor. Taikai in: Germany, UK, and USA. Main Theme this year was Koppojutsu. In November, Hatsumi Sensei receives "Cultural Award". Taikai in: Holland and USA. Main Theme this year was Kosshijutsu. In May, receives Papal recognition. Taikai in: Spain and USA. Main Theme this year is Takagi Yoshin Ryu Jujutsu and the "formal" wear of the year is Hakama. Taikai in: Norway and USA. Main Theme this year is Juppou-sesshou, Kunai, Ninja-tou, Tessen, Kyoketsushoge. Taikai in England and USA. Officially, this is the final year that Hatsumi Sensei will do Taikai overseas. Main Theme this year is Gyokko-ryu Happo Biken, Bo and Ken with an emphasis on Kasumi no Ho (encompassing mist). Main Theme this year is Shinden Fudo Ryu with an emphasis on --. Main Theme this year is Kukishin Ryu with an emphasis on Kuki Taisho (nine smiling demons). Main Theme this year is Togakure-ryu Ninpo Taijutsu with an emphasis on Kieru no Kankaku (feeling of disappearing). Main Theme this year is Mu (no theme) but later emerged a focus of Sainou (ability), Tamashii (spirit) and Utsuwa (capacity) [which can alternately be pronounced Sainou-Kon-Ki]. Emphasis was placed on nawa no kankaku (the feeling of rope). Main Theme this year is Rokkon Shoujou (influencing the spirit through laughter) with an emphasis on the Tachi. A pilot for TWA during the seventies and eighties. Ed was often away from home. Worried about the safety of his wife and three daughters. He looked into various self defense methods. Training himself in several, but found nothing that really fit until discovering Ninjutsu. Studying under Ninjutsu's only fully accredited practitioner, Masaaki Hatsumi. Ed switched over from karate. „When our teacher went to this Ninjutsu seminar and showed us what they did, it was SOOO much better what we do”- told me Papasan with a kind big smile on his face when I asked him how did he meet Ninjutsu. His daughter's followed. Time passed. Ed became one of a handful of 15th degree black belts (or Dan as the title is called in Japan) worldwide. His daughters acquired a reputation for dealing decisively with school yard bullies, rude dates and other annoyances. People began asking for lessons and pointers in the art of Ninjutsu. Ed became a full time instructor. Which made him a very busy guy converting the family barn into a proper training area or Dojo and taking on students. He returns to Japan each spring for advanced instruction. He is also often asked to officiate in Ninjutsu's growing number of national and international exhibitions. As a teacher of Ninjutsu he was asked to pen a local newspaper's column on self defense. Noted for his prose he was asked to become editor of a community newsletter, The East Penn Commentator. Finding he still had time on his hands he went on to produce a video tape entitled Self Defense For Everyone. Which earned an award of merit from Masaaki Hatsumi and a suggestion by Ninjutsu's Grand Master to make a sequel. Ed Martin was the official leader of the Ginrei Arashi Tennin Dojo 2015-2017. They met at the Norway Taikai in 2002. They hit it off, in result David invited Papasan to Budapest to hold seminars to the student of the Ginrei Dojo. That was the beginning of a deep friendship, so he came to Hungary numerous times. After Dave’s death the Ginrei Dojo invited Papasan to hold a seminar, the students could take him to his old friend’s grave.